OpenLayers is probably the most flexible and popular of the open source thin web clients for web maps. There has always been a fairly comprehensive on-line reference wiki at the OpenLayers.org website, and additional examples for deploying OpenLayers have been available on third-party (enthusiast) websites. However, there has always been a very steep learning curve for beginners. It was not until early in 2011 that a reference book for beginners was published. Erik Hazzard's book, OpenLayers 2.10 Beginner's Guide from Pakt Publishing, suffers from sloppy editing and a multitude of typos, but it filled a very real need in the open web mapping world. Check out book reviews from: The Map Guy(de), GeoWeb Guru, Barry Rowlingson's Geospatial Blog, and an especially geeky one by Jody Garnett of uDig and GeoTools fame. 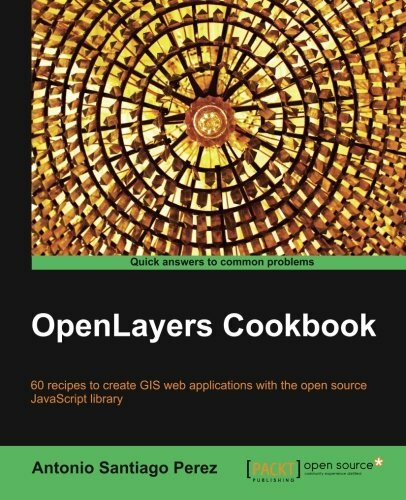 Another, recent (2012), addition to the still-thin stable of "how-to" OpenLayers references in English is the OpenLayers Cookbook by Perez Santiago, also published by Packt Press. Here are some early reviews of this volume, one from GeoWeb Guru and the other from Alper Dinçer's blog. This rest of this page displays some of the many other reference resources available on the web for users of OpenLayers. 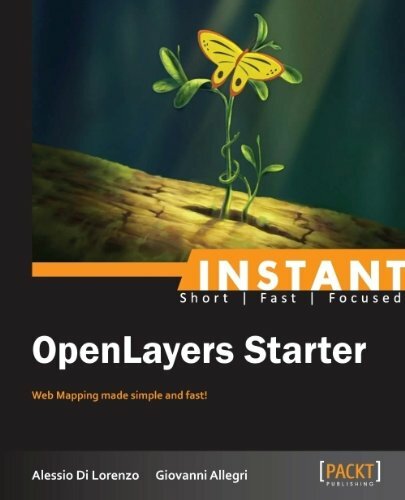 A 2013 addition to the growing list of OpenLayers books was Packt's OpenLayers Starter book, which is part of their "Instant" series of brief, how-to books designed to help the reader install and get started quickly with fairly complex software packages. This book is jointly authored by Alessio di Lorenzo and Giovanni Allegri. The current version of OpenLayers is 3.0, and a new book is also available from Packt. The book is an update and expansion of the original OpenLayers 2.10 book introduced above. The book, the OpenLayers 3 Beginner's Guide, again features author Erik Hazzard, but also introduces two more authors, Thomas Gratier and Paul Spencer. These books shown thus far have been produced by a commercial publisher, Packt Publishing, that publishes numerous books on open source software of various types. The books are published in printed form as well as in electronic form. One of the new movements recently is to publish exclusively in the e-book world, foregoing the printed versions of books in favor of electronic books in formats such as PDF, mobi, epub, and a few others. A publisher that specializes in such publications is Leanpub, which also seems to publish many e-books on open source products. Such an e-book on OpenLayers is The Book of OpenlLayers 3 by Antonio Santiago from Leanpub. Packt has published a recent update of the OpenLayers Cookbook by Perez. This book is OpenLayers 3.x Cookbook Second Edition (March 2016). Perez has added a co-author, Peter J. Langley, in compiling this new edition. Another Packt book published in January 2016 is Mastering OpenLayers 3 by Gabor Farkas. With the introduction of OpenLayers version 3, and the publication of a stable of reference books, the on-line repertoire of tutorials and resources also continues to grow. Some of them are listed in the tables below.